This year has been the year of socks and snails as far as knitting goes… there have been other things (slugs, worms, a butterfly, Cooey the pigeon and Nessie for example), but mainly socks and snails, The result being rather a lot of wool oddments. I had thought about knitting a pair of really random socks, combining all the different patterns of wool that I’ve worked with this year, but somehow that really didn’t appeal. Then the other day, whilst browsing the blogs I subscribe to, I came across reference to the ‘Beekeepers Quilt‘ on The Secret Life of Yarn. It’s just what I’ve been waiting for* – a way of stylishly using up all those bits of yarn that I can’t bear to throw out, but I haven’t been able to think what on earth to do with. 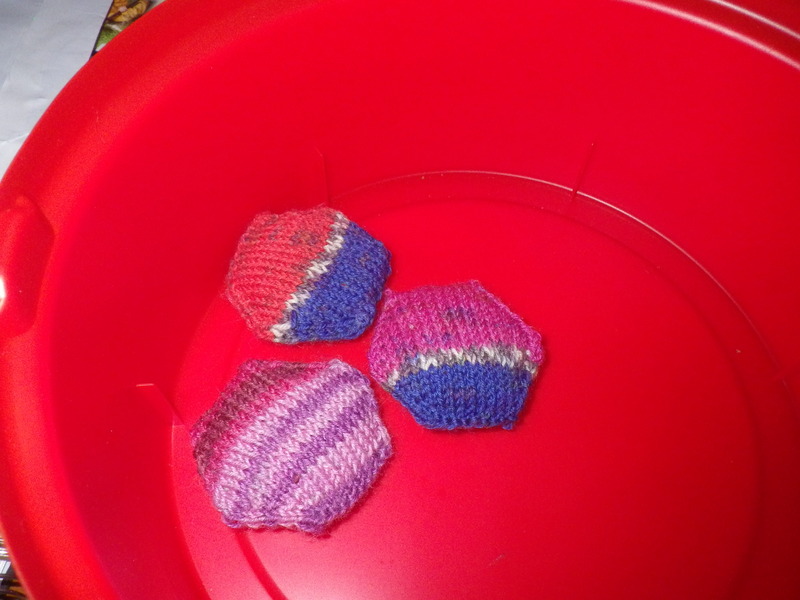 The quilt is constructed from ‘hexipuffs’ – tiny knitted hexagons, lightly stuffed. They are each only about 5cm, so take hardly any wool and you combine them into a crazy patchwork quilt so the more colours there are, the better. Until you stitch them together at the end, there is no sewing required, as they are knitted ‘in the round’ on double-pointed needles. I decided to learn a new technique for casting on (not necessary, but interesting) – the two-needle long-tail cast on. 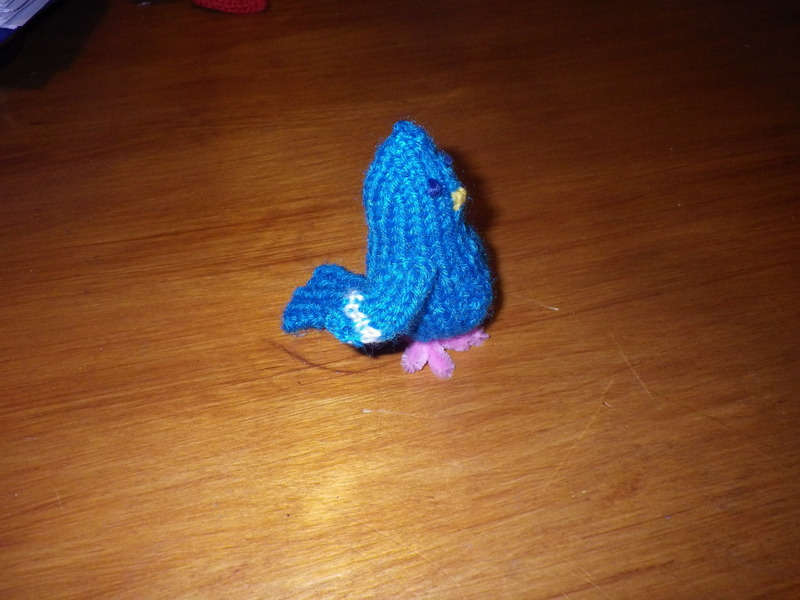 So far, I have knitted three… but I only started yesterday and I do also have a pair of socks I want to finish this weekend. Apparently, for a quilt measuring 3 feet my 4 feet (90cm by 120cm) I’m going to need nearly 400 hexipuffs, so don’t expect to see it finished soon! It’s going to be a WIP (work in progress) for a long time yet. * And for real obsessives, like me, there’s a whole thread on Ravelry dedicated to this one pattern! ** Not entirely true I just found a ball of wool in the loft that had been consumed by clothes moths… the little blighters!